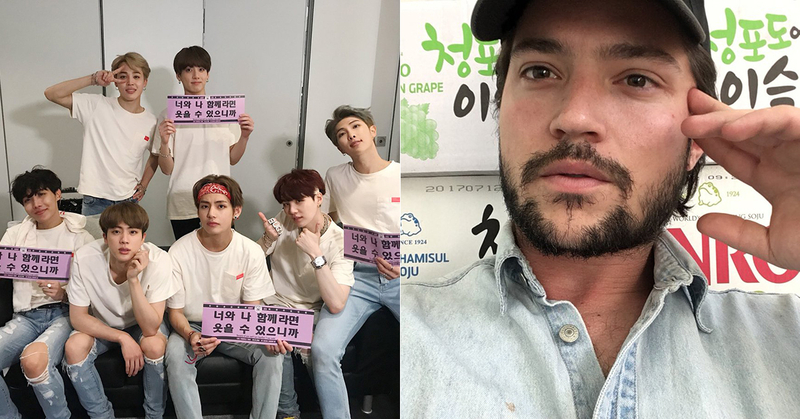 Hollywood actor Thomas McDonell, who boasts his love of Korean, unexpectedly revealed that he is a big fan of BTS. On October 9, Thomas McDonell mentioned on his Twitter, "If you say purple, I love you naturally comes with it". The word, "I purple you (Bora-Hae)" is commonly used by BTS' fans and made by member V, meaning 'Like purple, the last color of the rainbow, let's love each other for a long time and look at each other for a long time'. This word is not commonly used for the people who are not BTS' fan club 'ARMY'. 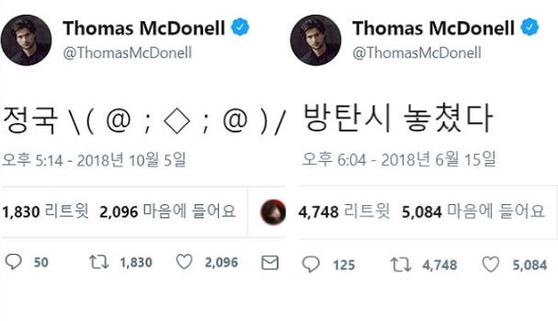 Other than this, Thomas McDonell has mentioned many other suspicious posts that prove he is an 'ARMY'. He filled his Twitter feed with the posts full of affection such as 'Jungkook, stop and take a sleep. You are hoarsened. Ouch', 'I love you 95s and 94s' and 'I missed BTS time'. 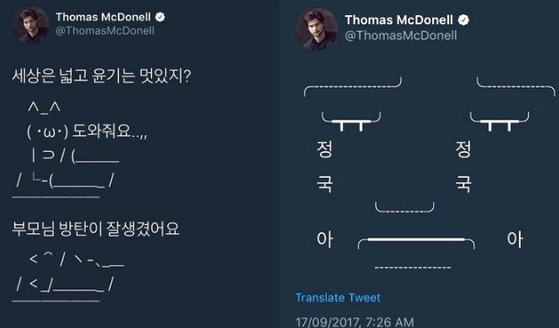 Thomas McDonell often randomly copies and posts Korean texts that look pretty on his eyes from some other Twitter accounts' posts. 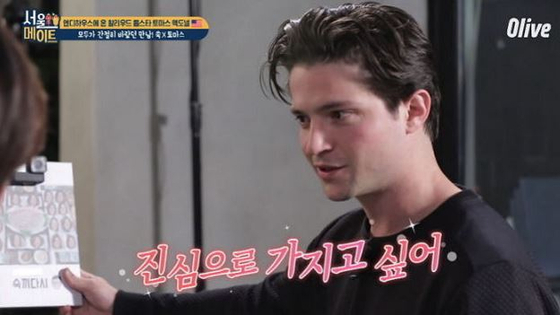 Therefore, Korean netizens who know Thomas Mcdonell's Korean love, nicknamed him as 'Korean Collector'. 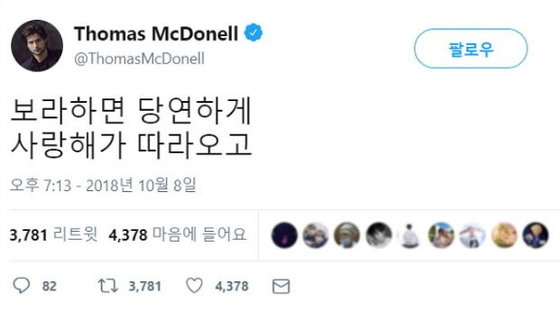 However, because the posts about BTS have been frequently posted on Thomas Mcdonell's Twitter, the fans who know the meaning copying the post started to suspect him. Fans who have doubts said, "Seems like now he knows the meaning of the words" and "I think he is a real ARMY".